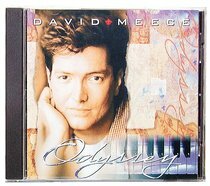 ODYSSEY offers a glimpse into David Meece's personal journey toward knowing God more completely. Meece notes that the 16 songs on this CD have been gleaned from "years of wanderings and struggles" as his faith matured. They include a collection of songs from his previous albums - including 'Falling Down', 'Higher Ground' and 'We Can Overcome it All' - as well as a new release, 'God's Promises/Rainbows in the Night', which explores God's promises on the subject of grace. All songs are strongly biblically based and some cleverly weave well-known classical music with Meece's heartfelt lyrics.